Water is just water, right? You are not alone if you think that the liquid coming out of your faucet is just plain water, but there are actually different types. One of the major factors is hard vs soft water. What makes water hard or soft? Let’s look at the differences, and then you can decide which type of water is best for your home. Most people prefer water in the soft form, and this is why people invest in water softeners for their homes or businesses. Water is used for so many things in the home, like cleaning and cooking. One of the most important uses is to keep people (and our pets and plants) hydrated. Which type of water you want to use can differ for each task, so it's important to know how hard and soft water affect them. Hard water is water that has not been through a rigorous water treatment system and still has natural minerals left in it. These minerals include, but are not exclusive to, calcium and magnesium. Hard water comes from the ground, and this is where the minerals enter into the water. Hard water is not bad for your health. These minerals are not harmful to you and in fact have been known to help prevent certain heart and cardiovascular diseases when included in drinking water. This is most certainly a benefit of drinking hard water, since these minerals are filtered out of soft water. However, hard water is said to leave more of a taste than soft water. However, there is no way to accurately test this, as everyone’s personal taste preference is different. The main reason many homeowners opt to have a water softener installed in their home is that the minerals in the hard water can cause some erosion and rusting of the pipes that bring the water into the house. Hard water can also lessen the efficiency of appliances that use water, and it can leave a residue on surfaces after using it to clean. Some people are put off from drinking or using hard water due to its earthy smell. The smell comes from the minerals left in it and the fact that it is more directly from a ground source. The water coming in from wells on your property will be hard water unless you have a water softener installed. Using hard water on your hair can leave it feeling sticky and looking dull. Using it on your skin can also cause a slight increase in eczema, especially in kids. These effects are due to the minerals drying out the skin and hair. Soft water is water that has been through a filtration system, either at a water treatment plant or in your home. This system will filter out the minerals that make the water hard and will leave it clear and odor-free. Although many minerals are removed, soft water contains quite a bit of sodium (salt). Most people already consume enough sodium, so it is not a good idea to consume even more by drinking too much soft water. This can cause issues with your muscles and bones as well as cause other health problems like high blood pressure. The chemical process that turns water soft leaves it more open to having other toxins flow into it as it flows through the pipes. Lead is an example. If lead gets into the soft water and you then drink it, you are putting that dangerous substance into your body. Luckily, homeowners of modern houses will not have to worry about lead pipes. Using soft water can leave your hair looking unclean and with an oily feel. It will also give you less volume. Washing your clothes in soft water can leave them with a residue in the fibers. 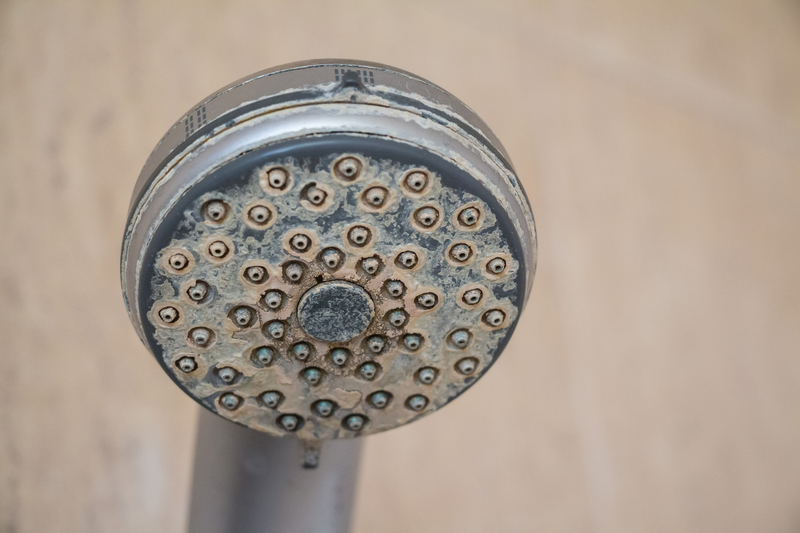 Whether you use hard vs soft water depends on what you want to do with it. When consuming water for hydration, hard water is better. When you are doing the dishes, soft water is preferred, as it will not leave a film on your clean utensils. It is all about balance here, since both hard and soft water have their benefits and problems. Because of this, it is suggested to install a water softener with a bypass valve so that the hard water can flow into the areas of your home where it is needed, and the same goes for the soft water flow. Unfortunately, neither hard nor soft water is particularly better for cleaning everyone’s hair. If it seems like your hair is reacting poorly to your current water, you might want to try a different hardness and see if it improves. There are systems that can be installed to treat hard water and create the perfect balance of water for your family. If you have a water treatment system installed in your home, it will make the water perfect for both drinking and washing. If you are just renting or cannot afford an entire home treatment system, there are also showerhead treatment attachments available. With benefits to both hard and soft water as well as some downsides to be aware of, it is necessary to find the right system for your home. Try different water amounts of filtration for water hardness and see what works best for you and your family. The question of hard vs soft water is not an easy one, and it all comes down to preference and what you are doing with the water. If you want more information about water treatment, check out Advanced Water Solutions’ other blogs, including this one that goes over the basics.